With Christmas approaching fast we all have our own family traditions, but two traditions widely shared is the exchange of Christmas cookies and listening to Christmas music. So, if you are interested what Christmas cookie you should eat based on your favorite Christmas song, I have the answers! Whether you have the tradition of setting up the Christmas tree with your family, or maybe you just like dancing under the glow of Christmas lights in your fuzzy socks, either way, if your favorite Christmas jam is “Rockin’ Around the Christmas Tree”, here’s a tasty cookie you can try! With this delicious 3 tier cookie bake time being only 20 minutes, you’ll have your tasty treat and be able to rock around the Christmas tree again in no time! Christmas time is filled with joy and love. Some of us are lucky enough to have a significant other that is worth melting for, others of us feel our heart melts every time our crush texts us back, and lastly, there are those of us that just want to belt at the top of our lungs every time we hear Mariah Carey begin this tune. Whatever the case is for you, these delectable melt-away Christmas cookies are perfect to make with that special someone you want this Christmas. Growing up we all believed in Santa (I still do), but without the help of Rudolph to lead Santa’s sleigh at night, he wouldn’t have made it to our homes before Christmas morning. In the winter months, we may even look like Rudolph with red noses curtsey of Jack Frost. If you know all the reindeer’s names and recall Rudolph too, then these reindeer cookies are the ideal cookie for you! Do you remember wearing your pjs inside out and backward, putting a spoon under your pillow, and flushing ice cubes down the toilet all for a snow day? Although some of us may hate snow now, one thing is for certain, everyone wants a white Christmas. 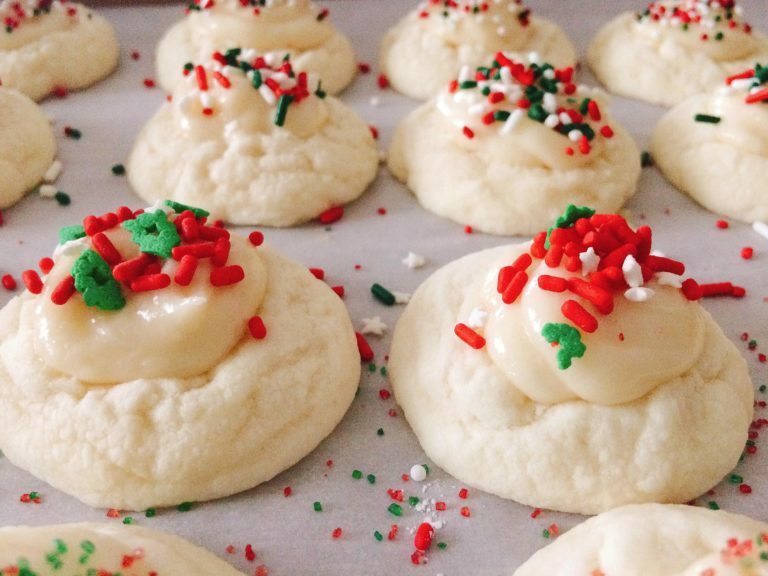 You can never go wrong with a classic Christmas hymn like “White Christmas” or with a classic Christmas sugar cookie. 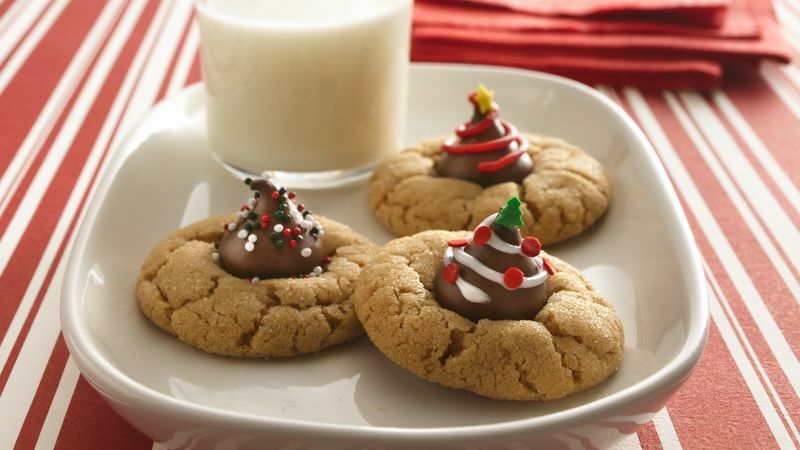 You may have seen mommy kissing Santa Claus, but I saw a chocolate kiss on top of these cookies. Kissing under the mistletoe is a well-known holiday tradition where two people kiss when standing beneath this tiny green plant. Personally, I prefer the tradition of Christmas cookies to kissing under the mistletoe. But there is something simple and sweet about a kiss, a chocolate kiss that is. If your favorite Christmas song is, “I Saw Mommy Kissing Santa Claus” you should try these scrumptious peanut butter blossoms. Last Christmas he broke your heart, this Christmas you’ll break his with your revenge body. You don’t have to feel guilty when eating these 93-calorie balls of deliciousness. We all have that relative that brings the traditional holiday fruitcake to the Christmas party every year but save yourself from tears and try this better-than-fruitcake cookie this Christmas. Music does not need lyrics to sound amazing; that is why “Sarajevo”, often played by the Trans Siberian Orchestra, is a fan favorite to listen to during Christmas time. Just like “Sarajevo” has no lyrics, you’ll have no time to get words out once you begin munching on these mouth-watering red velvet peppermint thumbprints. Whether your family travels somewhere warm to celebrate a green Christmas and escape the brisk air, or whether you just love this Hawaiian inspired melody, “Mele Kalikimaka” is the perfect song to listen to while fantasizing about palm trees swaying in the distance. 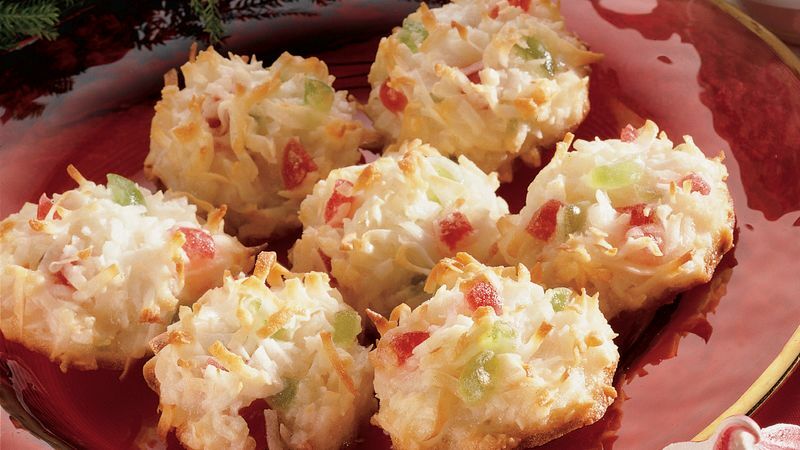 These festive coconut macaroons are a perfect tropical treat to pop in your mouth whether you’re sitting poolside or snuggled up next to the fireplace. “The Christmas Song” reminds us of everything Christmas from Jack Frost nipping at our nose to family traditions and everything in-between. This Christmas classic is loved by all generations just like the snickerdoodle. The crackling cinnamon atop a snickerdoodle reminds us of the sounds of crackling fireplaces. 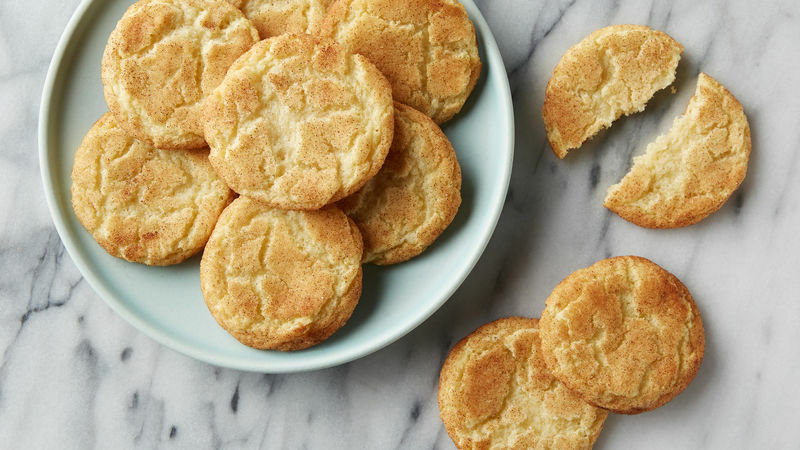 Snickerdoodles are simple to make and easy to share with all your loved ones. Reminisce all your cherished Christmas memories when indulging in a snickerdoodle and listening to “The Christmas Song” by Nat King Cole.